Nepenthes glandulifera was formerly called N. sp. #7 that originated from Malesiana Tropicals. There is a very good species profile in the book "Pitcher Plants of Sarawak" by Charles Clarke and Ch'ien Lee. As soon as I received the book and read the species profile I knew that this was the plant. It originates from the highlands of central Sarawak. 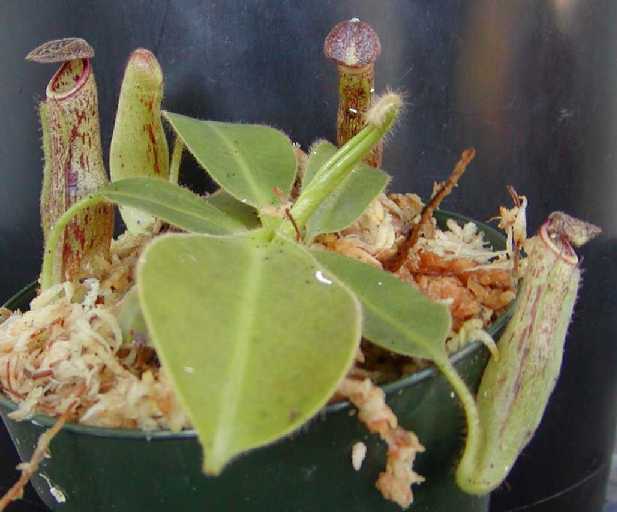 It is closely related to N. pilosa in that it is hairy and has only one kind of pitcher. Also it seems to be somewhat similar to N. stenophylla in some regards as well. 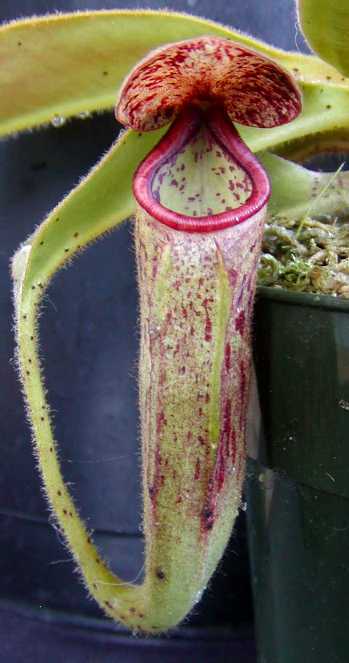 Also, it tends to produce more nectar gland spotting on the leaves, tendrils, and pitchers than other Nepenthes. Hence the name glandulifera. I haven't seen it available anywhere other than through Malesiana Tropicals as of late.